As a follow up from my last blog on the right brain chasm in supply chain and S&OP, you can find here my presentation on Changing & sustaining S&OP from the March 2013 Australian S&OP conference. A quick guide to go with this presentation. The biggest change required for proper S&OP or in general for agile decision making is horizontal thinking. Information never sits in one function, therefore we have to start understanding other functions and think more holistic. 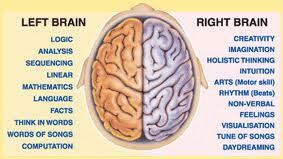 Thinking holistic and understanding feelings are right brain activities. The change to start crossing silo’s is hard because we’re wired to stay in our own tribes, where we feel save and secure. We know change is hard in general. Kotter’s research in over 100 companies showed in 1996 that only 30% of change efforts is successful. McKinsey’s research amongst 3200 CEO’s confirmed this 30% again in 2009. In ‘good to great’, Collins researched 1400 companies over 40 years and found that nearly 1% was great. Great companies beat the market by 6.9 times. A feature of these companies is that they have ‘level 5 leadership’ and that ‘change comes automatically to them’. So great leadership makes change possible. Still, leadership has been indicated by practitioners as the #1 roadblock to implement S&OP. As change is so hard, you first have to understand your change environment before you can think about sustaining S&OP. The only way to sustain S&OP is to create an S&OP culture. Culture is created by purpose, values & behaviours. Therefore we have to lead in effective S&OP behaviours and make them part of our DNA. Amongst effective S&OP behaviours are trust, communication, discipline and collaboration. The right brain is essential to be effective in these S&OP behaviours. The S&OP leadership quadrant can help you to map S&OP support in process and behaviour and can give you insight in your change environment and your roadblocks to create a sustainable S&OP culture. There are many ways to improve your S&OP environment to make it sustainable. It will take years, but it can be done.